Starter battery for TP and agricultural applications: Red Top range CCA: 815A Benefits: Strong starting burst Up to two times longer life More than 15 times the vibration resistance Spillproof, mountable in virtually any position Maintenance-free Faster recharging Optimal starting power Works well as a motorcycle battery or truck battery The REDTOP® high-performance AGM battery is the ultimate starting battery designed to deliver a powerful burst of ignition power for a reliable start-up every time, whether it's used as a truck battery, automotive battery, or for other applications. The REDTOP will outperform and outlast traditional batteries in demanding cranking/starting applications. 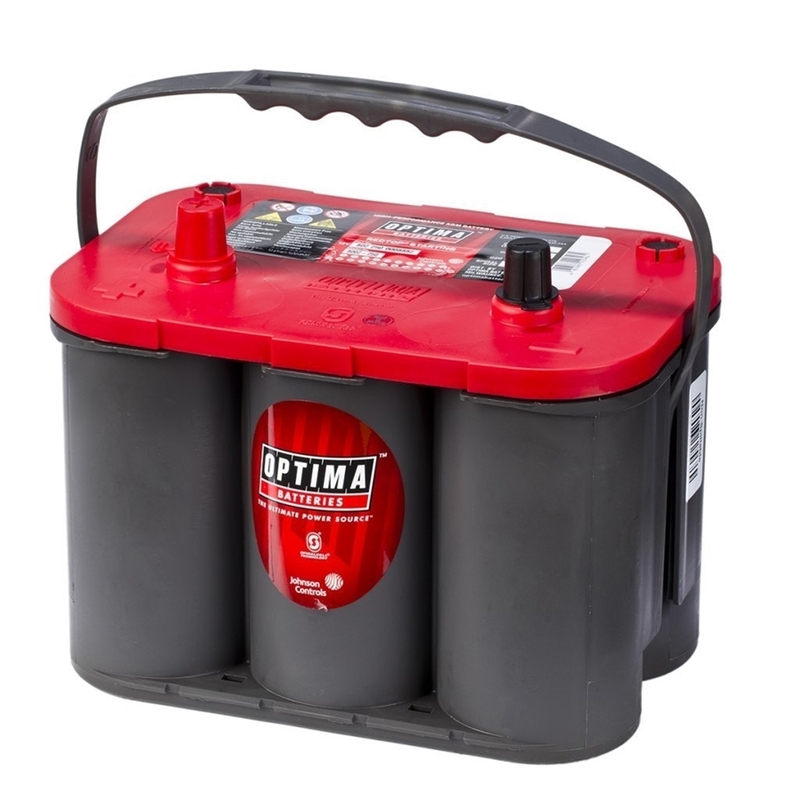 With impressive high-power delivery and extreme resistance to the most common causes of battery failure, the REDTOP is ideal for trucks, SUVs, hot rods, street cars and other applications that require a spillproof starting battery. Its reputation as a truck battery or automotive battery is unsurpassed.